So many of our customers want to know what olive oils and balsamics work the “BEST” for a salad. Well the honest answer is that they all do! It’s really a matter of sampling and finding a flavor profile that you enjoy. From there we can work with pairing that specific olive oil or balsamic to make a vinaigrette. Best of all the pairings between olive oils and balsamics are infinite!! If an olive oil and balsamic sound like they would taste well together the chances are that they will!!! 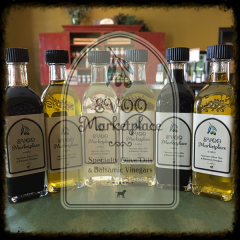 Keep in mind all of our Ultra Premium EVOO’s will pair with all of our barrel aged Italian balsamics and all of our pure authentic barrel aged Italian balsamics will pair with all of our olive oils! With over 50 olive oils and balsamics that translates to over 700 olive oil and balsamic pairings. Add in all of our flavored olive oils and balsamics and the combination possibilities become infinite!! So enough said-how do we make a vinaigrette? VINAIGRETTE PREPARATION: Combine 2 parts olive oil with 1 part balsamic. We like to think of a “part” as a tablespoon. Whisk together and dress a salad. That simple!! What you put in the salad is totally up to you, as there are no rules! Best of all since we offer our olive oils and balsamics separately you can ratio them however you want to hone in on the perfect flavor profile. Keep in mind that oil and vinegar will not stay together for more than a few minutes so if you want to create an emulsification we recommend dabbing (1 teaspoon) of light mayo or Dijon mustard into the olive oil and balsamic. There are blender methods too but we prefer whisking as it is less harsh on the olive oil. VOLUME: We recommend dressing an average 1 person salad with 1-2 Tbs of your favorite vinaigrette. INSPIRATION: For other combination ideas please visit our olive oil & balsamic combinations page. MARINADE PREPARATION: Whisk together equal parts olive oil and balsamic and and pour into a ziplock bag. Add protein and seal bag trying to remove as much air as possible. Refrigerate 6 hours to overnight. If working with a dense protein such as a flank steak we typically stab the protein with a fork prior to adding the marinade. Another trick with a dense protein is to increase the balsamic to olive oil ratio (2:1), as the extra acidity will help tenderize the protein. VOLUME: How much do you need? Well it depends but on average you most likely will not need more than a quarter to half a cup total. The protein does not need to swim in the marinade but rather just coat the protein. One trick we like to use is to let the protein come to room temperature in the marinade just prior to cooking. Room temperature allows the marinade to penetrate the pores of the protein one final time. 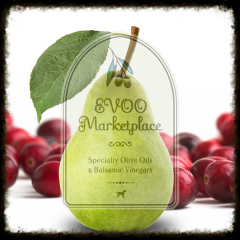 EVOO MARKETPLACE FAVORITES: Poultry & Pork-Black Cherry Balsamic + Basil Olive Oil, Sicilian Lemon Balsamic + Tuscan Herb Olive Oil, Raspberry Balsamic + Garlic Olive Oil, Coconut Balsamic + Persian Lime Olive Oil, Cranberry Pear Balsamic + Blood Orange Olive Oil, Honey Ginger Balsamic + Toasted Sesame Oil, Jalapeño Balsamic + Baklouti Green Chili Olive Oil, 18 Year Traditional Balsamic + Tuscan Herb Olive Oil, Serrano Honey Vinegar + Persian Lime Olive Oil……….Beef, Elk, Venison- Espresso Balsamic + Chipotle Olive Oil, Chocolate Balsamic + Chipotle Olive Oil, Fig Balsamic + Wild Mushroom & Sage Olive Oil, 18 Year Traditional Balsamic + Garlic Olive Oil. Lamb- Black Cherry Balsamic + Harissa Olive Oil, Black Cherry Balsamic + Basil Olive Oil. Wild Game-Pheasant/Duck: Raspberry Balsamic + Blood Orange Olive Oil, Raspberry Balsamic + Garlic Olive Oil, Raspberry Balsamic + Tuscan Herb Olive Oil, Black Cherry Balsamic + Tuscan Herb Olive Oil, Black Cherry Balsamic + Basil Olive Oil, Honey Ginger Balsamic + Toasted Sesame Oil. LAND BASED PROTEINS MARINADE PREPARATION: Whisk together equal parts olive oil and balsamic and pour into a ziplock bag. Volume: All depends on the amount of protein but we typically use 1/4 cup total for every 1lb of protein. Add protein to ziplock bag and marinate 6 hours to overnight. CHICKEN STIR FRY: Whisk together 2tbs Sesame Oil & 2tbs Honey Ginger Balsamic, pour into a ziplock bag. Cube up 1-2 lbs chicken breast and add to marinade. Marinate overnight in the refrigerator. Heat stir fry pan over high heat. Add 1Tbs Sesame Oil and watch until it begins to shimmer. Immediately pour in marinated chicken including marinade. Stir fry 5-7 minutes add vegetables and continue stir fry until chicken is thoroughly cooked. Serve with Honey Ginger balsamic infused Basmati rice. Prepare rice and when fluffing drizzle with Honey Ginger Balsamic, ~1Tbs Honey Ginger Balsamic/1 Cup Basmati rice. WATER BASED PROTEINS: Our olive oils and balsamics are perfect for water based proteins such as fish and seafood but as a cautionary note we do not recommend marinating water based proteins with balsamics as the acidity of the balsamic will damage the delicate protein. Instead we recommend coating the protein with any of our olive oils and letting it sit for 20-30 minutes at room temperature. After the protein has been cooked then we use the balsamic in a finishing step. 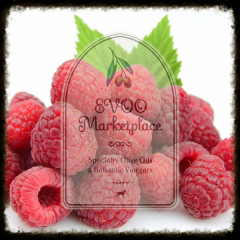 EVOO MARKETPLACE FAVORITE: BBQ shrimp is one of our personal favorites. De-shell 1-2lbs of raw shrimp, wash and pat dry with a paper towel. Toss the shrimp in 1-2Tbs of Persian Lime Olive Oil and let sit for 20-30 minutes at room temperature. Grill over high heat until thoroughly cooked 5-7 minutes depending on size. Toss cooked shrimp in 1 Tbs Persian Lime Olive Oil & 1 Tbs Coconut Balsamic. We like to serve this with Basmati rice infused with Coconut Balsamic. INSPIRATION: For other combination ideas please visit our olive oil and balsamic combinations page. We hear it all the time-“I want that thick balsamic that drips” or “I want a balsamic glaze” So a few important bits of knowledge before we get to how to create a proper balsamic reduction. 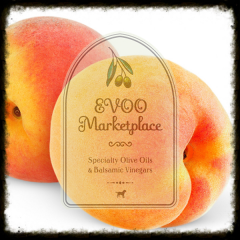 EVOO Marketplace offers only authentic Italian balsamics barrel aged to the Italian standard of at least 12 years with some up to 18 years. During the aging process the balsamic vinegar will evaporate approximately ~10% year over year. This evaporation process is what allows the natural sugars from the grapes to condense and the balsamic to become thicker and sweeter. The acidity will also drop from 6% (12 year) to 4% (18 year). The Italian balsamic consortium system certifies 12 year (red label), 18 year (silver label), 25 year extra vecchio (gold label) balsamic vinegars. Anything older than the gold label, 25 year extra vecchio balsamic, technically does not exist at commercial scale. Yes, some small estate in Italy may have a few drops but at large commercial scale NO WAY. The marketers have fun with this subject confusing the general public with balsamic age by relating to the age of the wood barrels the balsamic is aged in and not the actual age of the balsamic. 100 year-old wood barrels does not translate to 100 year-old balsamic. It’s also important to keep in mind the usage applications of honey consistency balsamic drop significantly and cost of a 25 year extra vecchio balsamic would exceed $250 for a 100ml (~1/4 the size of our 12.7oz bottles), making it not very economical for general consumption. So what is this super thick “balsamic” from Modena, Italy? For the most part it is nothing more than red wine vinegar, sodium, corn syrup, guar gum, corn flour and/or molasses. If you attempt to reduce these impostor balsamics the awful aftertaste will only be amplified. NO, Modena, Italy above was not a typo!! A little unknown fact-Italy produces the World’s supply of both authentic and impostor balsamics so just because the product is produced in Italy is irrelevant. What is relevant is the actual age of the balsamic. Trust us, if the supplier does not state the age on the bottle of at least 12 years YOU DO NOT KNOW WHAT YOU’RE BUYING, NO MATTER THE PRICE OR HOW PRETTY THE BOTTLE IS. If you are interested in learning more about balsamic vinegar production please feel free to visit our PROSPECTIVE ON BARREL AGED BALSAMICS page. Enough is enough let’s get to how to prepare a balsamic vinegar reduction! BALSAMIC REDUCTION/GLAZE METHOD: Any of our barrel aged Italian balsamics can be reduced to a “thick syrup” through the addition of medium-high heat. A true balsamic reduction as described below is perfect as a glaze for various meats, seafood, vegetables, fruits, or drizzled over your favorite ice cream. STARTING VOLUME: This will vary based on the application but keep in mind we are going to reduce the starting volume approximately 50% so start with twice the needed amount. METHOD: Example-lets create a topping for ice cream-add a 1/4 cup of your favorite EVOO Marketplace balsamic to a sauce pan. Heat over medium to medium-high heat ~3-4 minutes with stirring. The balsamic will bubble and foam as the vinegar burns off. The odor can be quite strong so we recommend using your overhead ventilation fan. The goal here is to reduce the balsamic ~25% and let the cooling process reduce it another 25%. We want to STOP the heating process once the balsamic begins to coat the side of the pan. Immediately pour the balsamic in a glass bowl and place the bowl on top of another bowl containing ice. Stir the balsamic as it cools and achieves that sought after “thick” balsamic. HEATING EXTRA VIRGIN OLIVE OIL: Don’t be afraid, the Dr Oz myth that you can’t heat pure and fresh EVOO is simply not true!!!! Our Ultra Premium EVOOs and flavored olive oils will tolerate heat up to ~425F. Why? 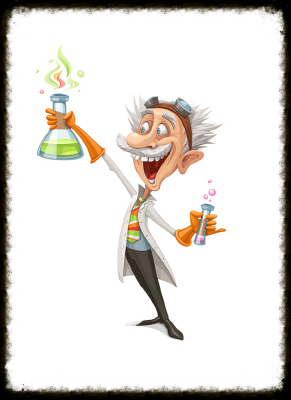 Let’s refresh our EVOO CHEMISTRY knowledge. Two important EVOO chemistries that contribute to smoke point are Free Fatty Acid (FFA) & Polyphenol (antioxidant) content. A low FFA content and high Polyphenol content translate into an increase in smoke point. Fresh and pure EVOO’s with a FFA of 0.1-0.2% will have an inherent smoke point of ~400F. Combine that with a Polyphenol content of 150ppm to over 600ppm and the smoke point increases relative to the Polyphenol content with robust olive oils achieving a smoke point up to ~425F. All oils will smoke and if you walk away from your pan and come back to a smoking oil we recommend to let it cool then throw away, unless you want your preparation to taste burnt. Keep in mind the majority of big brand so-called “EVOOs” have smoke points around 365F, owing mostly to their poor chemistry profile, lack of freshness and purity. Without knowing the olive crush date, FFA, and polyphenol content one can’t estimate the smoke point of a specific EVOO. HEATING APPLICATION: Add 1-2Tbs olive oil to a sauté pan and heat over medium to medium-high heat (we don’t need super high heat). Don’t walk away!! We want to watch the olive oil begin to shimmer and pull away from the center of the pan. Once the oil begins to shimmer add ingredients and sauté. MAKE YOUR OWN OLIVE OIL SPREAD: Although we do not recommend bulk storage of olive oil in the refrigerator it is OK to pour a small amount in a bowl and refrigerate allowing the olive oil to solidify. Our pure and fresh EVOOs consist of healthy monounsaturated fats so they will never harden like a stick of butter or “I can’t believe it’s not butter” but instead they will turn into a soft slurry, which is easy to spread. OLIVE OIL & BALSAMIC STORAGE & SHELF LIFE: Store both our olive oils and barrel aged Italian balsamics at room temperature, away from heat and light. Please do not refrigerate the olive oils!! Olive oils if placed in a cool environment will enter into a semi-solid state and repeated thawing will cause the olive oil to breakdown quicker. We bottle everything in-house in light protected glass bottles so we recommend that if you decide to pour our olive oils into your own decanter that you choose one that is made of a UV protected material. SHELF LIFE: Our Ultra-Premium EVOOs and flavored olive oils are so fresh and pure that if stored properly you can expect a shelf life of 18 months to 2 years. Our barrel aged Italian balsamics are already aged 12 to 18 years so in theory they have an infinite shelf life. At the end of the day we want you to have fun and enjoy cooking! There are very few rules so don’t be afraid to experiment. 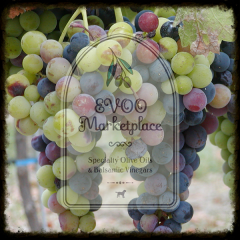 Our olive oils and balsamics can be used for ALL cooking applications! The flexibility of our products is enormous, meaning that if a recipe calls for a Garlic olive oil and you have Tuscan Herb olive oil we’d say GO FOR IT, and don’t be afraid to substitute! If you are looking for inspiration please feel free to visit our RECIPE & OLIVE OIL/BALSAMIC PAIRINGS pages. For commonly asked questions please feel free to visit our FAQ page. Most importantly HAVE FUN & ENJOY! !